Comments: Very friendly and on time and the work that was done was excellent. I would definitely recommend this company. Comments: CJ was great to deal with. He was very professional and his prices were more than fair. I had an emergency situation with my water purification system which my original contractor was not responding to in any form or type of timely manner. 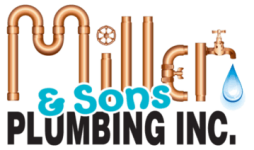 Miller and Sons responded at the first phone call, was present within an hour and repaired the cracked PVC fitting in less than an hour. Thank you!! Comments: Fast response. Good work and FAIR prices. I will call this plumber anytime I need him. Highly recommend this company. Comments: CJ arrived at our home in a matter of minutes addressed the problems, and replaced the parts. He was fast and professional and I would not hesitate to hire him again. Comments: Very professional, courteous, friendly and discounts to seniors. Showed up when he said he would and about an hour later toilet was replaced. Will hire Co again for any future needs. Price was very fair. Comments: Fast Reasonable no BS!!! Did a great job at my house. Very satisfied! Comments: Very professional came quickly and did a follow up call. Comments: We called in the morning and he returned our call and told us what time he would be there. He called again when he was on his way and arrived on time and did a very good job. Would definitely use him again. Woke up this morning with a busted underground pipe at the well Call Miller and Sons Plumbing Inc. CJ was here less then hour,came in and fixed the pipe better than it was before it was damaged. Great price, excellent workmanship and very professional! I will definitely recommend this company, great technician. We now have water thanks to CJ on this hot florida day and weekend of July 4. Comments: In and out in no time, very pleased with workmanship, very polite, and very reasonable priced. Would definitely recommend to others. Comments: You could not find better!!!!!!!!!!!!! Comments: I found him very responsible and courteous. He did a very neat job on shower plumbing, although I don't know anything about plumbing. Comments: They came to my house very fast. Plumbing Contractors You Can Trust! Comprehensive plumbing repairs, remodeling and plumbing installations in Ocala, FL. Read our Reviews on Google and Yelp!